We like banana bread at my house. Not the kind with nuts in it, that’s just gross. No, we like warm, out-of-the-oven, just a bit squishy banana bread. You know the kind with the sticky brown crust and the golden, freckled-with-banana-bits insides? If I can state the obvious, the key to really great banana bread is the bananas. You could probably use any banana you wanted, but if you want “oh my that was so yummy” banana bread, you need nicely ripened nanners. The green guys just won’t do. Their bright yellow buddies are better, but still not ideal. What you need is a good brown banana. A banana small children look at and make that “I’m not touching that squishy, icky thing”. These are the bananas that if you look at them the wrong way, they fall out of their peels. Okay, maybe they don’t need to be so ripe as to be disintegrating right before you, but they need to be well on their way if you want the best flavor and if you want to easily smash them into the other bread fixins. Under-ripe is no good and over-ripe is no good. There is an optimal window of ripeness. A time when the banana is most ready to become an ingredient in banana bread. You know, the same is true of ideas. I like the way that sounds…a idea whose time has come. It suggests to me there is a time when the idea was not yet ready, not yet ripe. On the other hand, I can imagine sitting on an idea so long that it becomes irrelevant or at least less powerful. Ideas can be under-ripe and over-ripe. A friend was recently describing to me a vision for growth and new ministry in his community. The idea has been gestating for some time. Lots of dreaming. Lots of conversation. Things have been percolating. He’s feeling like now is that carpe diem time. It’s showtime. It’s go time. The idea is ripe. Those he leads may or may not agree. The idea may need to ripen a bit more. Yet, if too much time passes the opportunity may be lost, the idea may shrivel or spoil. So how do you know the right time? Can you learn the art of timing? Experience may be the greatest teacher. Learning from failure. Studying past successes. Seeking wisdom and counsel of trusted advisers. This is an art, I believe we can learn. Ripeness. Timing. Knowing when to act and when to wait. We get signs and signals from those around us. 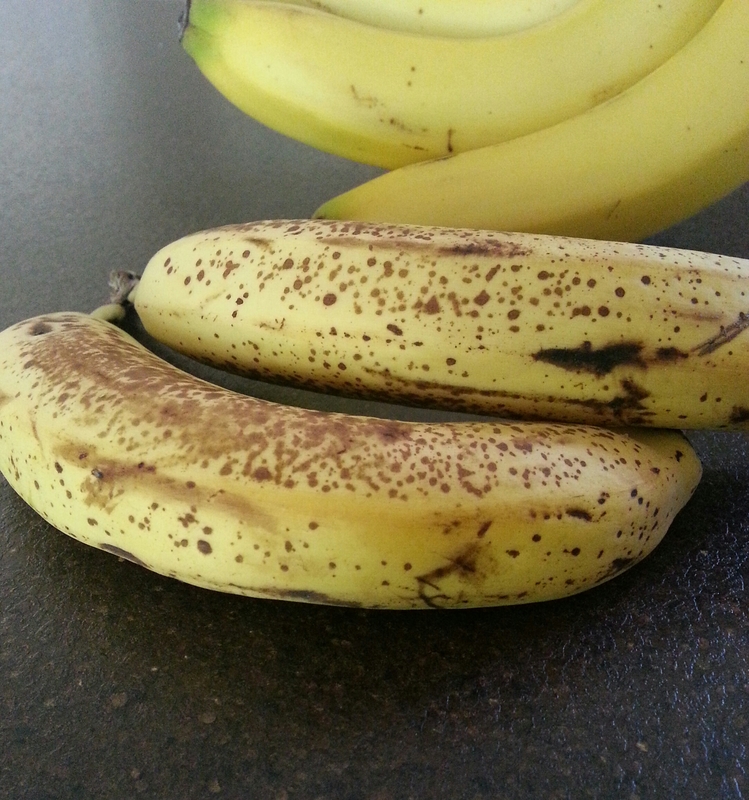 I see the brown spots start to form on the bananas and I know we are getting close to banana bread time. I listen to the conversation. I watch the body-language. I pay attention to who asks questions and what questions they ask. I notice who goes silent. I note who doesn’t participate in the discussions. I watch and listen for the signs that the idea is ripe. And when an idea is not yet ripe, I practice patience, allowing it to come to fruition. Otherwise, I rush and the bread is bitter. And if there’s one thing we like less than nutty banana bread, it’s bitter banana bread. So, how do you know when the time is right? What experience do you have with allowing an idea to ripen or recognizing an idea is over-ripe?